Systems, devices, and components gets fast obsolete in the fast changing technology world. The life of the products and the components vary due to various economical and technological reasons. Finding an obsolete part is near impossible task. The failure in finding parts delays the whole project. The discontinuation of manufacturing by the supplier for an important part causes significant loss to the user. This drives the concept of storing, updating and reviewing the component information especially about the life-cycle data, availability, alternates, etc., periodically. The management of components when they are active is far easier, cost-effective and simpler than they are obsolete and hard to locate. Creating an alternate plan for obsolete components and implementing the plan is many times as good as re-designing the product again with new components. The products or the components are considered to be obsolete if they are no longer available from the original component or product manufacturer (OCM or OEM). The term obsolete means getting disappeared or vanished. The OCMs releases the product discontinuance notices (PDNs) or end-of-life (EOL) notices or last-time-buy (LTB) notices stating their last time buy options and last time availability dates. The components enter the obsolescence phase in the life cycle (bell curve). The below bell curve is as per the IEC standards, shows how a product or a component start its journey from introduction to qualification and production to obsolete phase. Life cycle predictions combine market and technology factors based on the dynamic assessment of the sales data along with few manufacturer- and applications-specific factors. The condition of the component when it is released to the market and sold to the customers does not remain the same as the time passes. The lifecycle of a component goes through many phases and involves many parameters to decide upon what's the current stage unless explicitly mentioned by the manufacturer. The table below shows the different phases of the component life cycle and its impact. 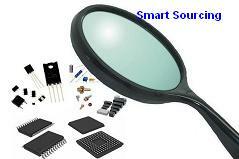 Obsolescence is also considered as one of the major factors influencing the introduction of counterfeit components. We saw in the other module related to Counterfeits how big the risk is when fake parts enter the supply chain and the inventory causing the business and the customer heavy reputational and monetary losses. So, by proactive life cycle management of components, one can reduce the risk of counterfeits and thus can avoid the adverse effects to a great extent. In one of the case where a systems manufacturer (OEM) got to locate and rectify the frequent product failures occurring. When enquired about the nature of the failures and the BOM (Bill of Materials), surprisingly, they didn't have the complete and accurate BoMs as well as they could not furnish the exact failure data. They were consulted by the customers on the phone and to support them, the manufacturer (OEM) used to recall the product and provided the customers a new product in replacement. The major drawbacks we can observe here inlcudes; one being there is no systematic process adopted and the second being, the lack of sufficient information. When deeply enquired, they were purchasing the components on the web and that too with the vendor with least cost. 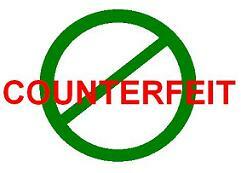 The entire system was exposed to major threat of counterfeits. So, there is a tendency of small companies, due to their budgetary constraints, following weak practices and supply chain. There is an absolute need for every company, both small and big, to have strong processes as well as the component databases well-maintained. As mentioned in the introductory module, the management should incorporate in its strategy to adhere to those practices that lead to ultimate quality and customer satisfaction even if extra cost is involved at some juncture. "Controlling the damage is more costly than preventing it to happen". The manufacturers (OEMs) normally have more than couple of products that they supply. The component database for all the products may roughly be around 1k components for couple of products. The MS-Excel itself can serve as the database medium to store the information for a small organisation. Even if the company has more number of products, the companies can think over replacing the storing medium to MS-Access. Of course, the big companies prefer having the enterprise RDBMS and/or ERPs and/or PLM tools to maintain the information. Again, having a database merely does not solve the purpose, but maintaining it with the required data correctly, updating it periodically and ability to perform custom queries easily are also important. In another case a company had a huge number of acquisitions in the past and each acquired company had the data and information built in different formats, mediums and software (ERPs). Here, the situation is quite different than the rest. Cleansing and normalising the data from different mediums, formats and structures into a single, common and aggregated format is quite a challenging and tedious task. Once the data is scrubbed, the company can save or get back the invested cost by value engineering and smart procurement opportunities. And just not limited to opportunities, based on the smart intelligence incorporated, primary and secondary benefits such as smart inventory, duplicate parts elimination, lean processes, consistency and one-time efforts in maintenance, and many more can be achieved. There are two methods of obsolescence management widely in practise. The reactive approach of component obsolescence management deals with acting upon the alternate plan once after the EOL or PDN or LTB notices are issued by the supplier. 1. The first option in this approach is to cross-verify with the manufacturer for any recommended alternates for their EOLs. 2. 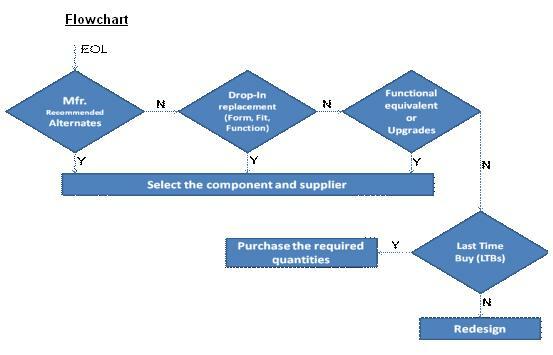 The second option in this approach is to have the engineers search for the alternate components from a different supplier, preferably, drop-in or form-fit-function (FFF) replacements. 3. The third option may be to consider upgrades or functional equivalents or downgrades. The redesign activity exists here and hence time-consuming. 4. The next approach is performing the LTB (last time buy or life of type buy) if the LTB dates are not passed. Budgetary constraints and excess inventory may be the worrying factors to place the LTB request in consent with the product management, design team, materials manager and supply chain. 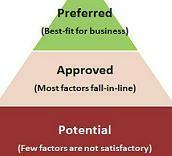 The levels of approvals may depend on the size and roles of the representatives in the organisation. In major companies, the approvals for Last Time Buy or redesign of the product for which EOLs occurred are collectively decided by materials manager, product managers, design teams, plant or site finance, sourcing leaders, supply chain representatives and NPI leaders. The LTB inventories are safeguarded well in the warehouses and it's the responsibility of the site's materials manager. While in the small organisations, probably the product manager, finance leader and the design team decide upon executing the LTB or the alternate plan. 5. There is yet another way to mitigate the risk by approaching the aftermarkets where the purchase cost may increase rapidly or even the production line may have to halt if the inventory runs out. 6. The other option is to redesign the product with better features and components and this is a costlier decision. 7. Very few companies also adopt a practice of creating a custom component similar to the obsolete one and using a qualified manufacturer to produce it. However, this option may produce good results based on the supply chain relationship between the two organisations. One should remember that redesign costs should be included in the yearly budget planning so that LCM decisions and actions can be effectively implemented. 1. The predictive or proactive approach deals with the constantly monitoring and predicting the life cycle of all the components used in the product well in advance as well as developing alternate plans in advance. This method promotes to perform the "health-check" of components on a periodic basis to mitigate the identified risks. The alternate plans can include determining the second and third sources for every commodity component and having enough stock in the inventory for the single source or critical speciality components. 2. The proactive method also incorporates the management strategy to design the products using the components which have the predicted life of more than 5 years, as an example. By preventing the usage of near-to-end-of-life components, the risk of obsolescence is somewhat mitigated excluding the unseen scenarios. PCNs and EOL notices monitoring and maintenance becomes part of the supply chain's duty. If companies are utilizing reference component databases available in the market, then the exclusive maintenance of these notices is not required. When the component becomes obsolete, with the passage of time, the options for suggesting the alternate solutions become harder and costlier. As said in the second paragraph above, the missed opportunity of mitigating the EOL risks when it's fresh (as soon as the manufacturer releases EOL or PDN notice) can give rise to unexpected expenditures. The obsolete component has a direct impact on more than one functional team in the organisation. 1. The purchasing and sourcing teams need to identify products affected, their annual usage, total stock availability at different sites and finally the mitigation plan. Even before to this, they have to confirm from the supplier about the presence of any recommended alternates. 2. The Engineering team needs to suggest the alternate components and sources; qualify them and thoroughly check for the feasibility options of redesign, if applicable. Re-qualifications and certifications from the authorities or external agencies are also part of this team. 3. The production team may have to check for the deviations in manufacturability, inspection of the new components and the timing for the incorporating the changes in production. 4. The time schedule of the product development gets changed and may directly hit the release plans. 5. If there is an ECO-Engineering Change Order system in place, all the stakeholders have to approve and sign the applicable sections. Thus, effective life cycle management is an influential strategy to minimize product costs, promises best possible supply and evades opportunity losses. The early identification of obsolescence shock reduces overall product cost thereby proper and profitable decisions can be taken such as redesigning, substituting with a nearest alternate, working with an alternate manufacturing source, or stocking with the enough quantities. 1. According to PCNAlert, 240,000 EOL notices were issued by suppliers in 2000 and the figure increased to 1.6 million in 2005. 2. IHS says, "The estimated cost to manufacturers for missing one EOL notice is $5,000 to $30,000".